Messenger is more than a simple texting platform. We use it to share photos, videos, play games, and communicate in real-time. During the Facebook Developer Conference F8 David Marcus, VP of Messaging Products, submitted the company’s vision for Messenger and chatbot apps. Facebook rolled out Messenger Platform 2.0. 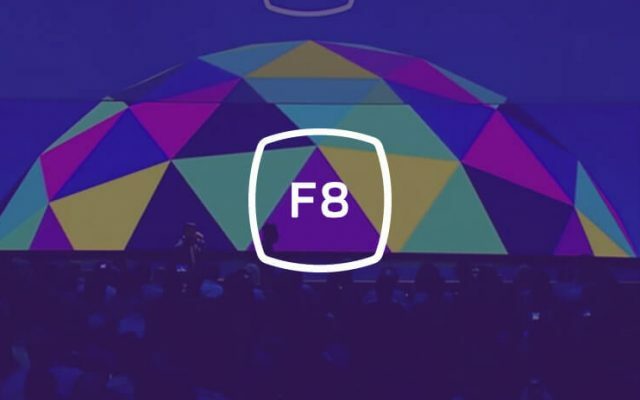 Master of Code Global and our partners from Chatfuel traveled to San Jose, California to attend the F8 conference. We gained some great takeaways from F8 and are looking forward to the future of Facebook and Facebook Messenger. So, what does Messenger 2.0 look like? Over the last year the platform has grown up a considerable amount. It’s not just an environment for social interactions anymore, but a tool for business. The main objective of Platform 2.0 is to make it easier to discover those businesses and their respective bots. The new section helps users find chatbot apps, places and relevant businesses in Messenger. Users can browse a variety of experiences, including what’s popular, featured or nearby. Discover also includes categories such as News, Finance, Entertainment, Food & Drink and other. They help users find a category they are looking for. This feature allows users to invoke a bot directly into their conversations with friends and collaborate on ordering food, splitting payments, sharing music and so much more. Spotify, Apple Music, Uber, the Wall Street Journal and many other companies already offer these experiences. Chat Extensions appear in Messenger composer once a user has interacted with the associated chatbot. Users can share them in a 1:1 or group conversation, and a message can contain images, links, and more. Your business still doesn’t have a bot? We would be glad to build one for you! These are basically QR codes that a user can scan into Messenger. 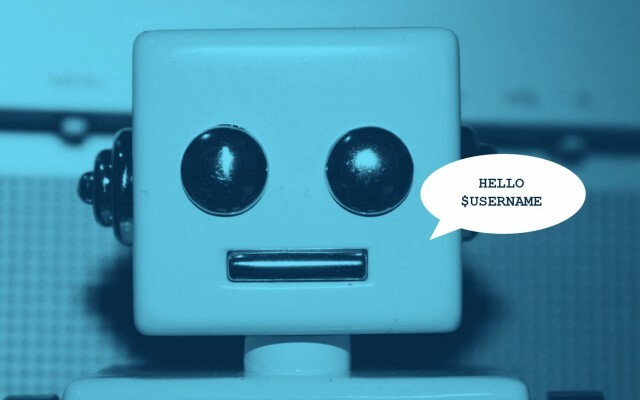 This tool will be great at driving offline-to-online traffic to bots. You can generate multiple codes for a chatbot to see which one is being scanned the most. Also, different QR-codes can activate different bot features when each is scanned. For example, a restaurant can take orders via a chat bot and give the chatbot a way to know where food should be delivered by using different messenger codes. The previous year was very productive regarding AI solutions and now is time for Facebook’s move. Its AI-based personal assistant scans conversations and recommends Messenger features to use. For example, if you are texting about where to have a lunch, M will offer to make an order via its new partner delivery.com. Now M will be reading all that you are texting. Is this service more convenient than it is annoying or potentially too invasive? That is the question users will be learning the answer to soon enough. Businesses usually use several channels to communicate with their customers: a website, a mobile app, and Messenger (to name a few). Facebook presented ID Matching API for retrieving IDs for the same person across Messenger apps and chatbots owned by the same brand. When a person uses Facebook Login on a website or a mobile app, an ID is created for the specific Facebook app, which is called app-scoped ID. When a person interacts with a business via Messenger, an ID is created for the specific Page associated with the bot in Messenger, which is called Page-scoped ID. This means, for the same person, the IDs across different communication channels are different. By giving a user ID for a chatbot app in Messenger you can make the communication with the user much more personalized. The ads are shown to users on the Facebook News Feed and through open Messenger conversations via a click or a tap. When the dialog window appears, a user receives a message you have specified as a “Structured Message”. Shop T-Mobile has built the ability to purchase a phone and a plan through Messenger. The ads make it possible to target their desired customers. The feature allows sending template messages via an open graph URL plus an optional button. Currently, by using the Open Graph Template you can only share songs. The users see the shared song with the album artwork. They can preview the song and click the optional button. Basically, it’s a library of components for designing chatbot apps. You need to download a Sketch file to get started. Pick up mockups of your chatbot in a thread, snap together polished web view experiences, and learn about the fonts, colors, and dimensions that will ensure your experience looks great in Messenger. Platform Design Kit includes components for both conversational and GUI-based experiences. It seems clear where Facebook is heading. Messenger is soon going to be an ecosystem for everything you do online and beyond.